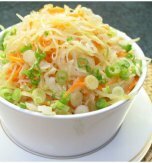 Traditionally pickled cabbage is cooked with carrot and has a light spicy taste and a milky tint. 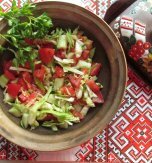 However there are many recipes for marinated cabbage. One of them includes beetroot. 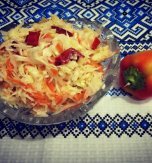 Such a combination gives the pickled cabbage and beetroot salad an unusual taste and a bright burgundy color. Wash the cabbage heads and cut them in chunks. 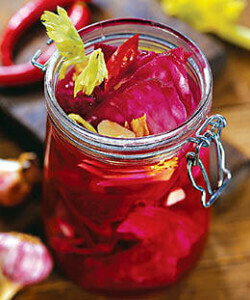 Wash beetroots, peel and shred them. Toss the ingredients in a big glass jar. Pour water in a pan. Bring it to boil. Add black peppercorns, allspice, salt, sugar and bay leaves. Cook the mixture over low heat for 10 minutes. Next add table vinegar and boil 1 minute more. Pour the prepared marinade above the cabbage and beetroot. 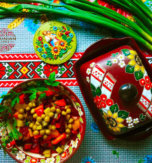 Keep the jar with marinated salad at room temperature for 3 days. Pour the dish with vegetable oil before serving it as a garnish or a starter. 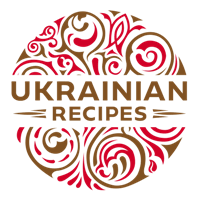 Do you have a favorite Ukrainian recipe for a beet and cabbage salad? If so, please let us know in the comments below or write us an e-mail.